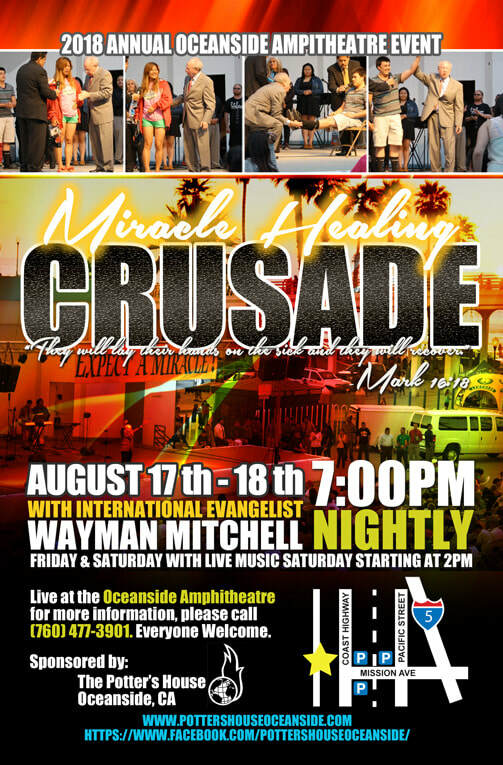 The date is now officially August 16-17, 2018. Apologize for the previous email confusion. It's been a moving target with the city. 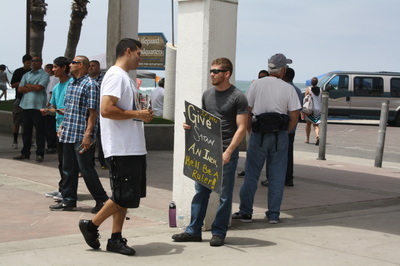 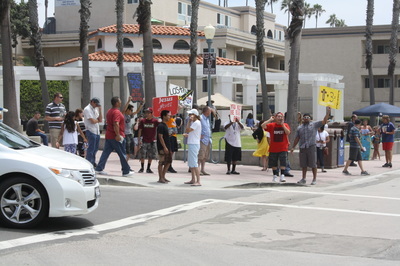 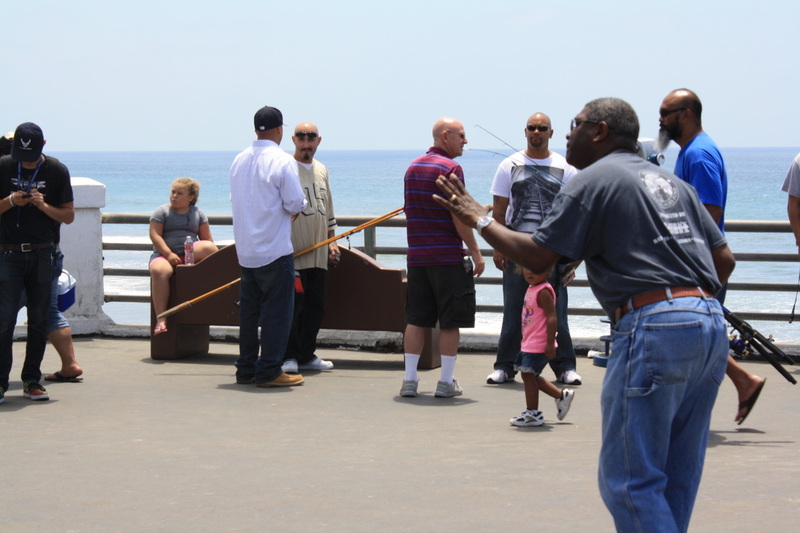 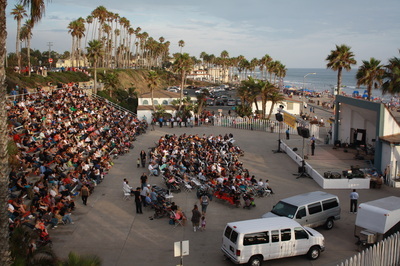 The location is the City Civic Center Plaza, corner of Pier View and Coast Highway (by the fountain). The city has graciously offered this key location (including setting up the stage and closing Pier View Ave. north of Coast Highway) as most of the Amphitheater will be blocked with construction equipment. The Music Scene prior to the healing service will be severely constrained due to noise limitations at the new location. Submit your band names but we may not be able to accommodate everyone. 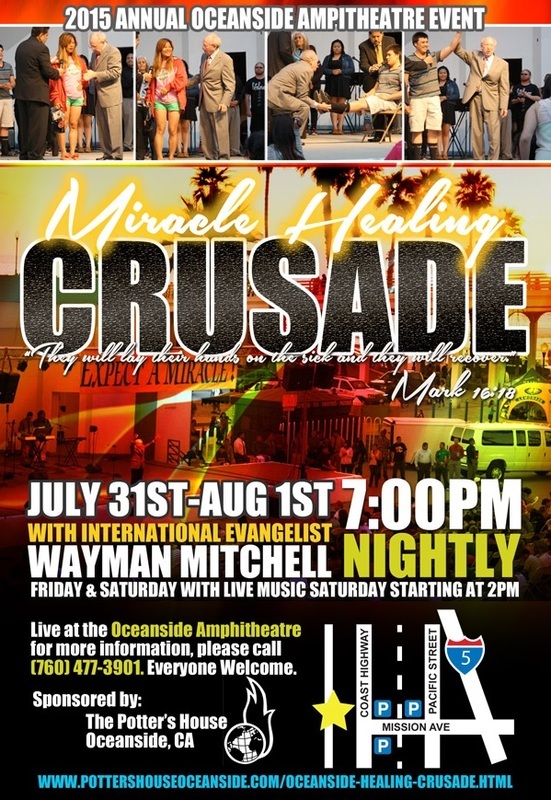 More information to follow in the crusade letter we send out in March. 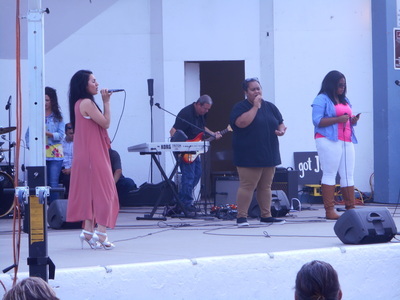 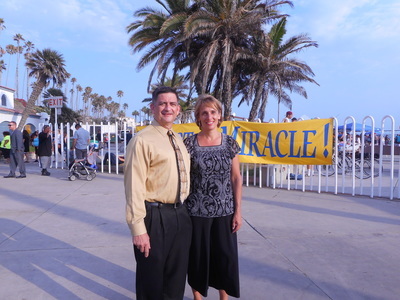 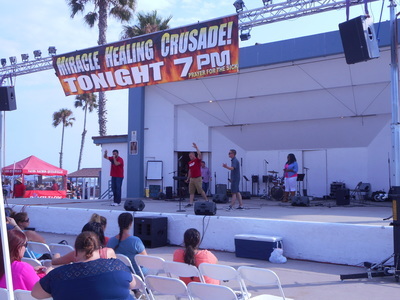 The 2018 Oceanside Miracle Healing Crusade was a great success -- Glory to God! 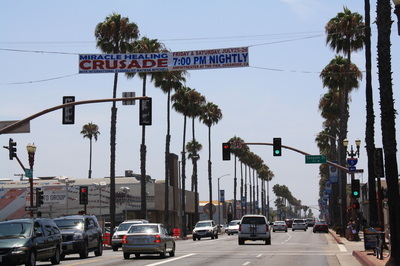 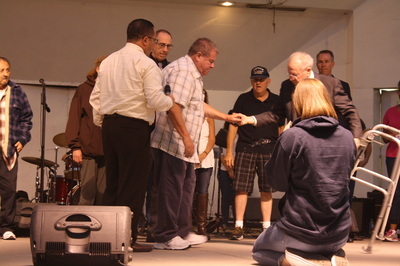 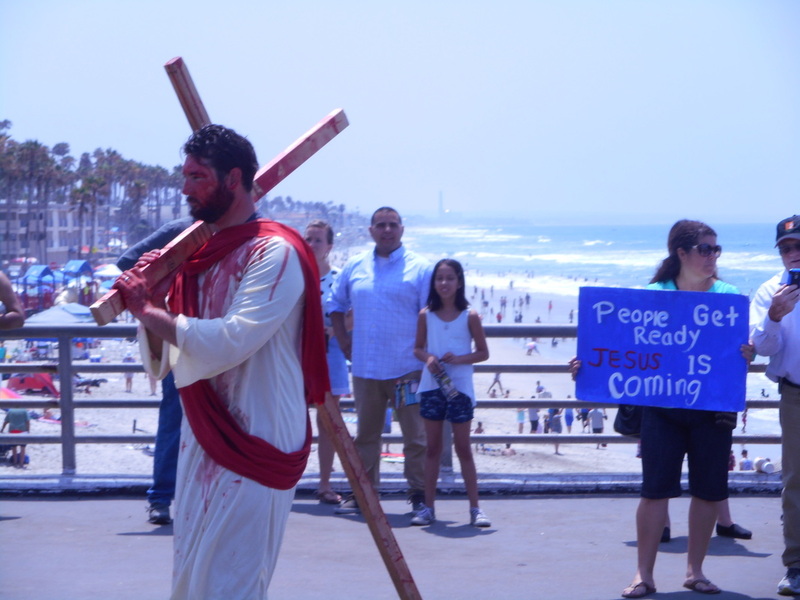 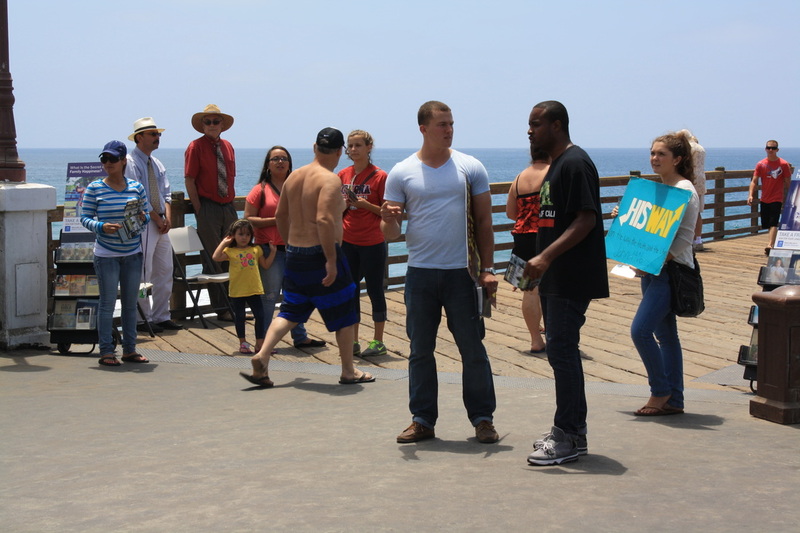 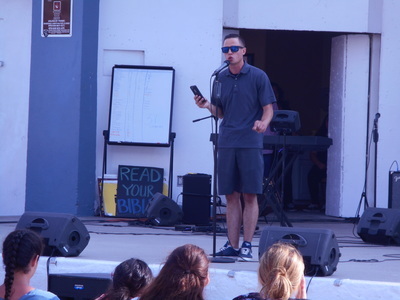 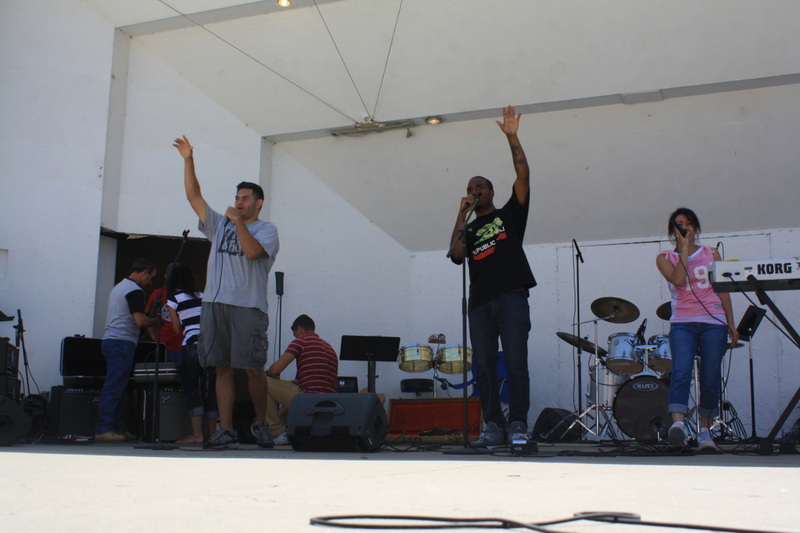 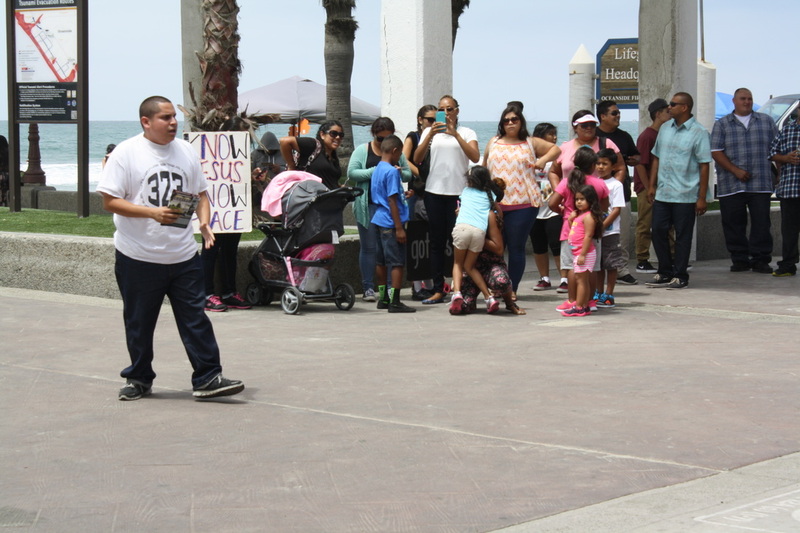 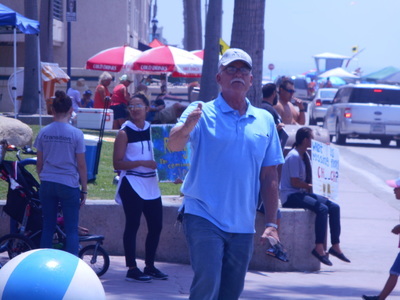 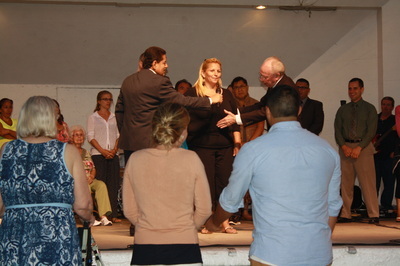 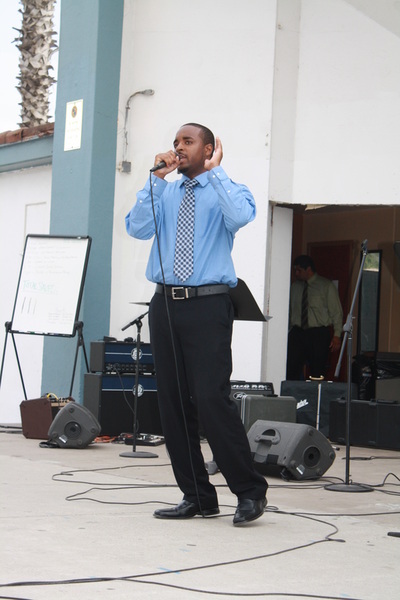 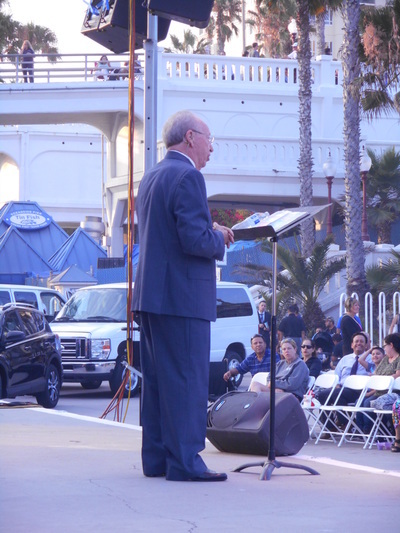 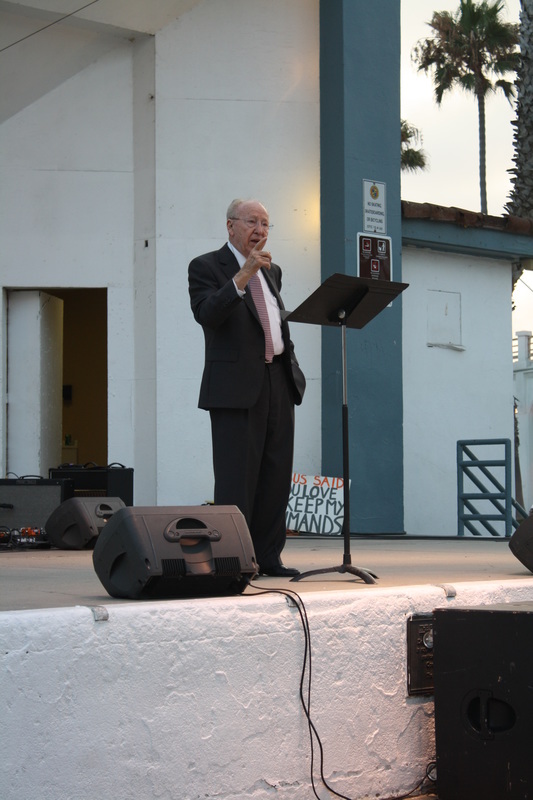 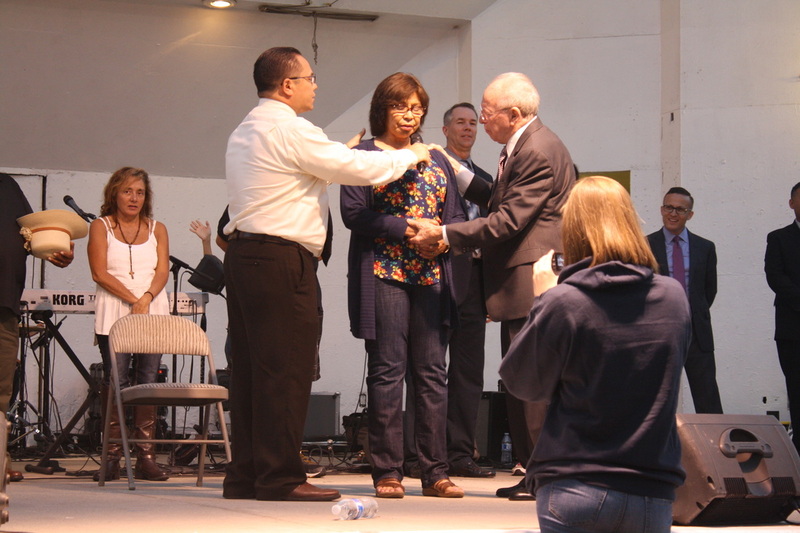 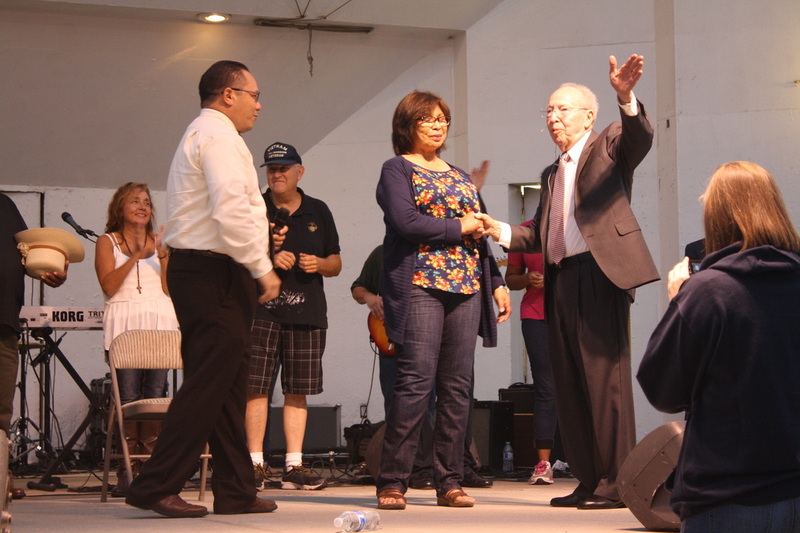 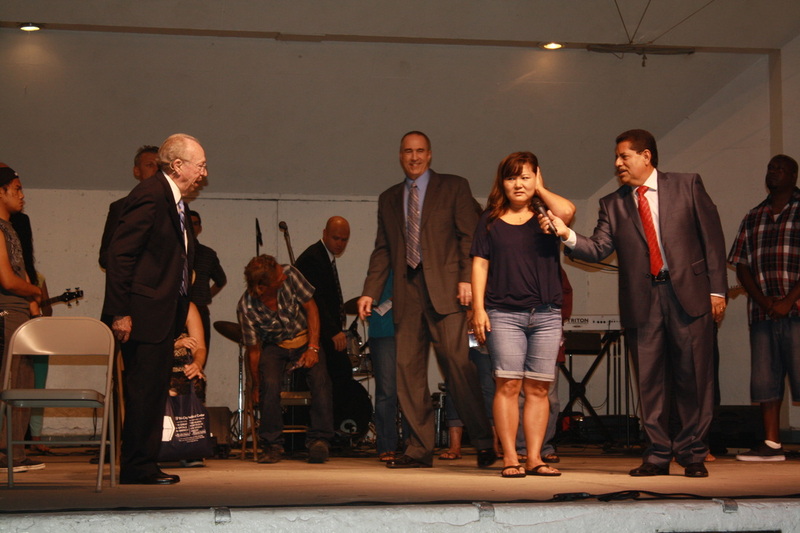 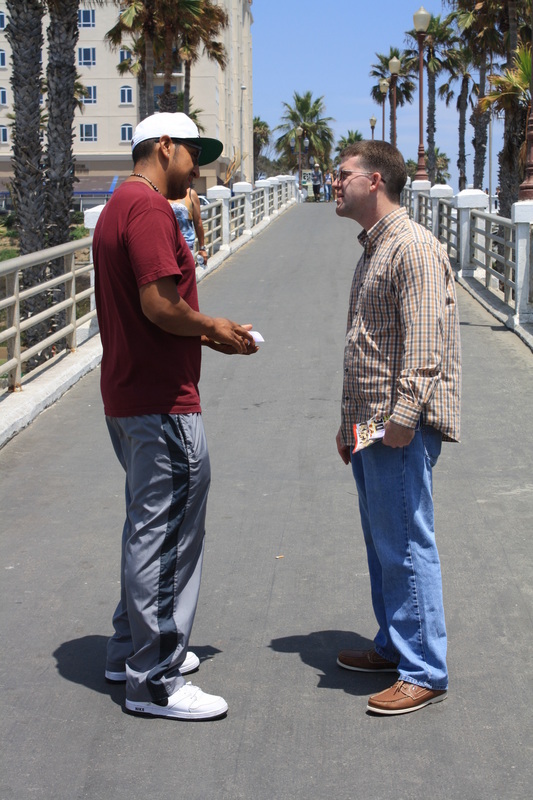 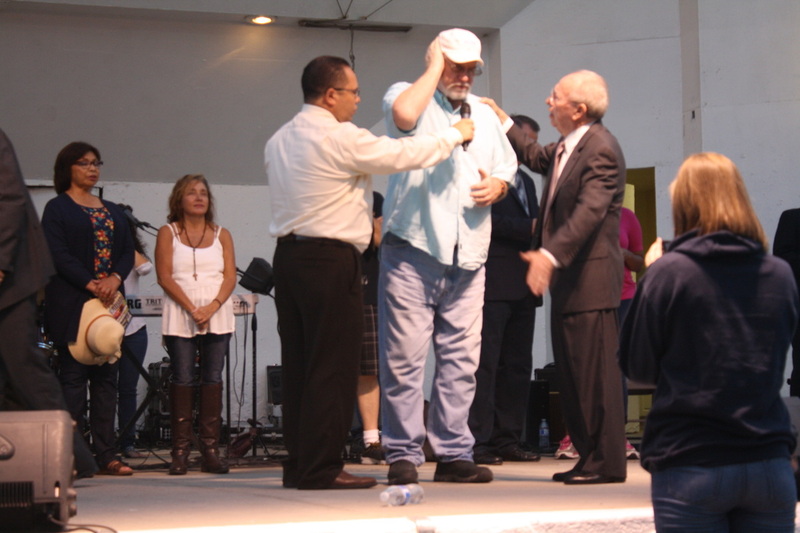 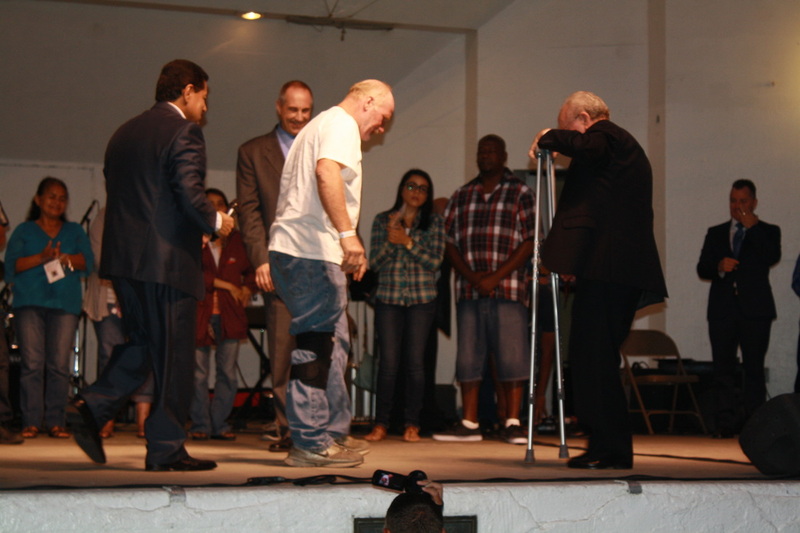 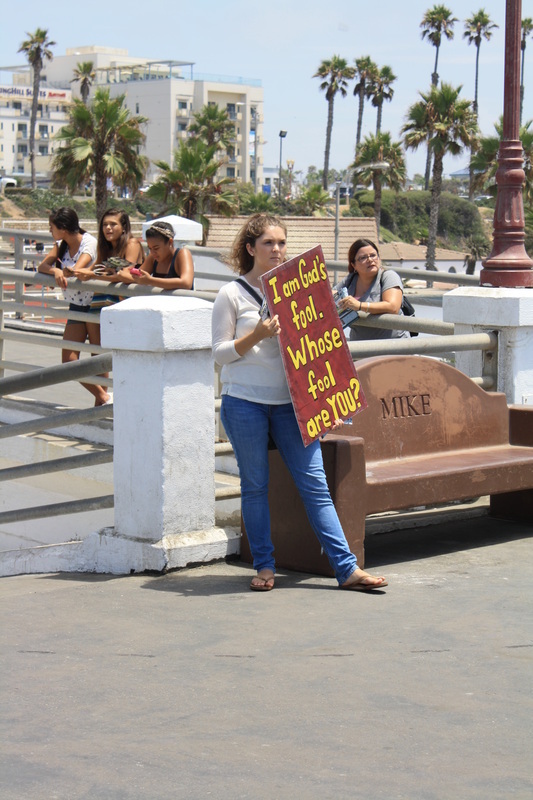 - We had 73 total decisions for Christ and 34 notable healings on the platform at this year's Oceanside Crusade! 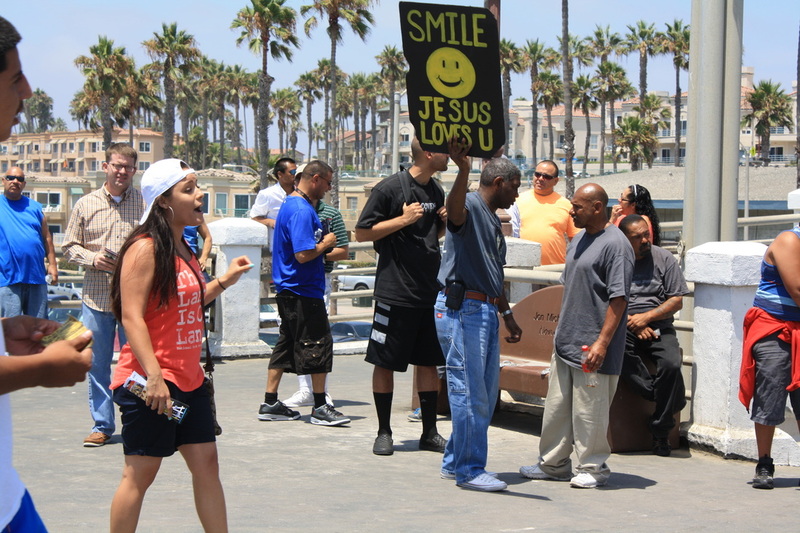 - Thanks to all of the churches who participated. 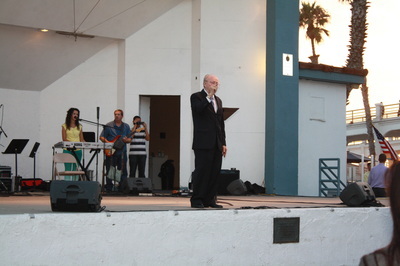 And the 22 bands that performed. 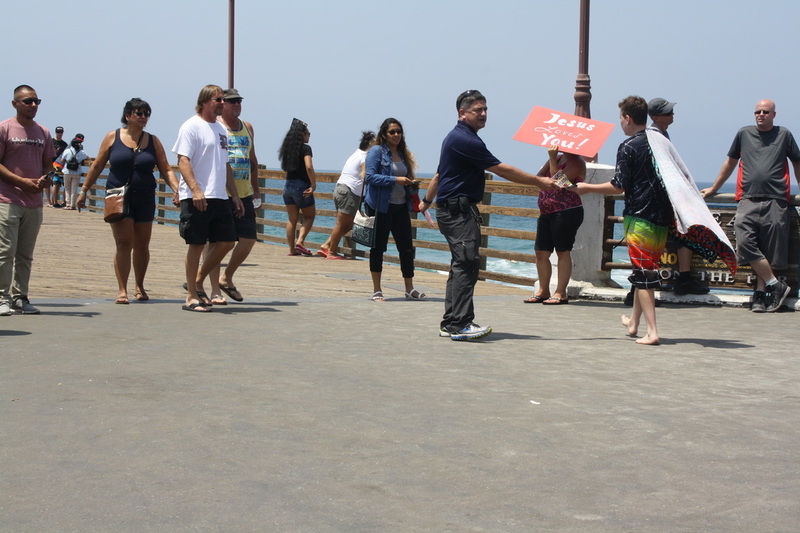 We could not do this without you! 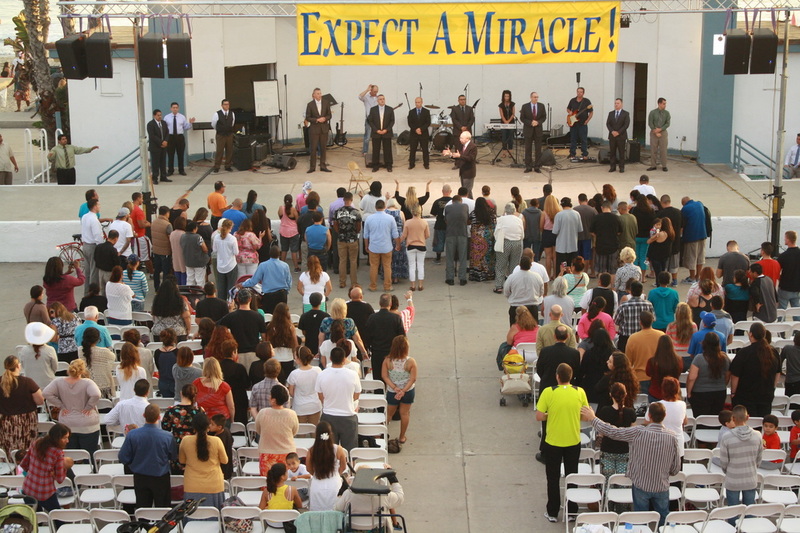 The 2017 Oceanside Miracle Healing Crusade was a great success -- Glory to God! 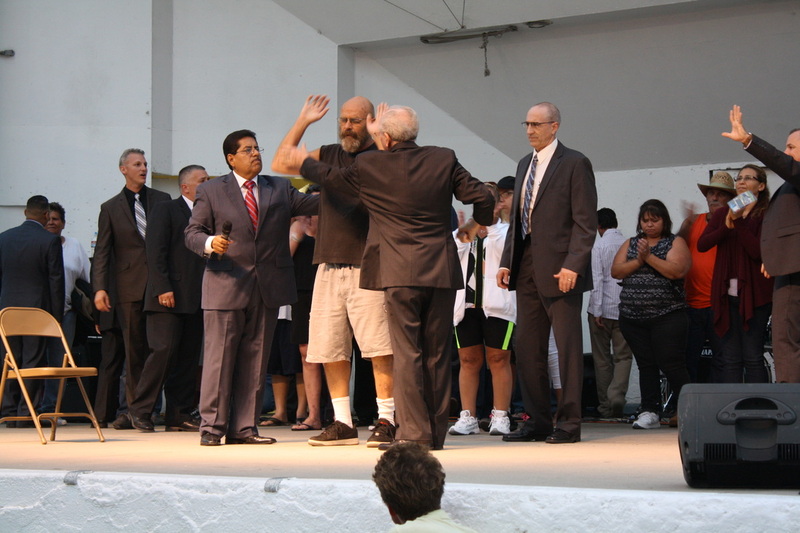 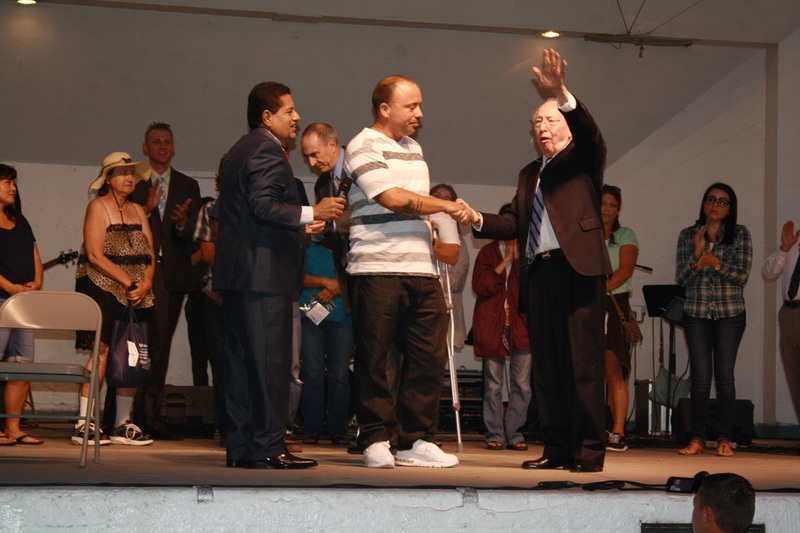 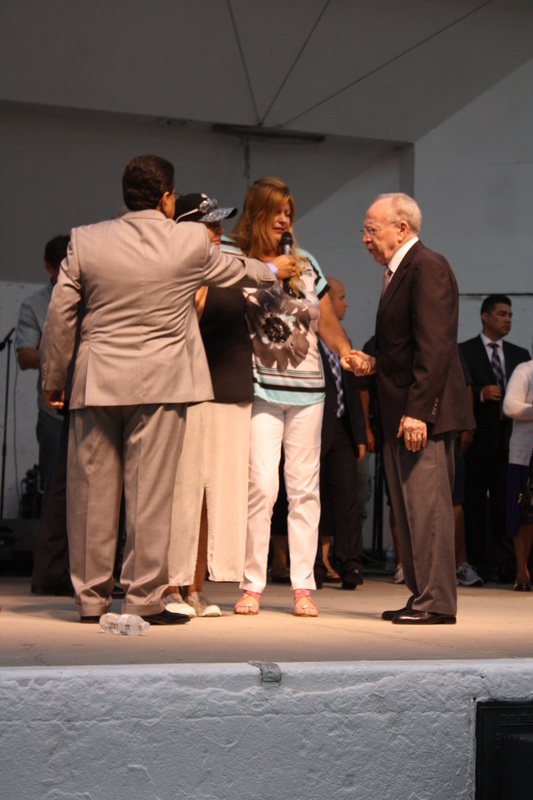 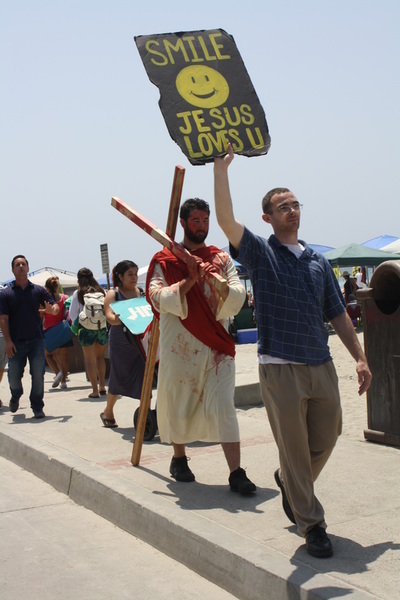 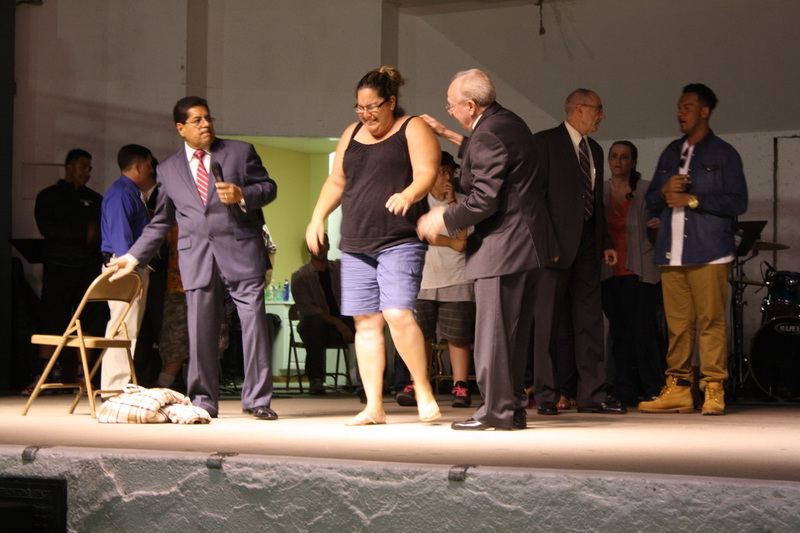 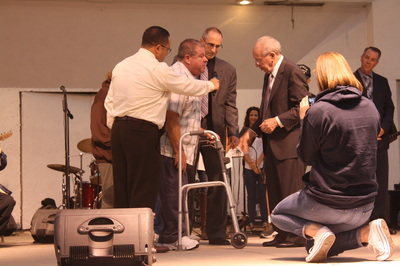 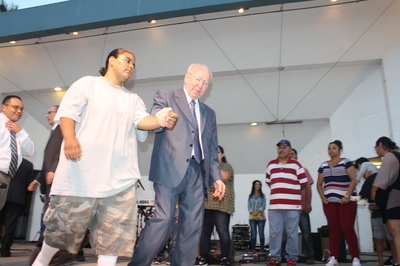 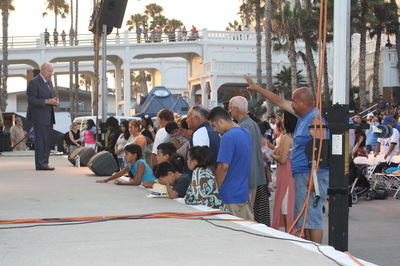 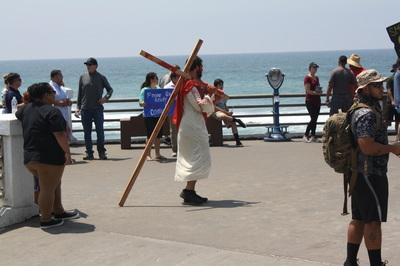 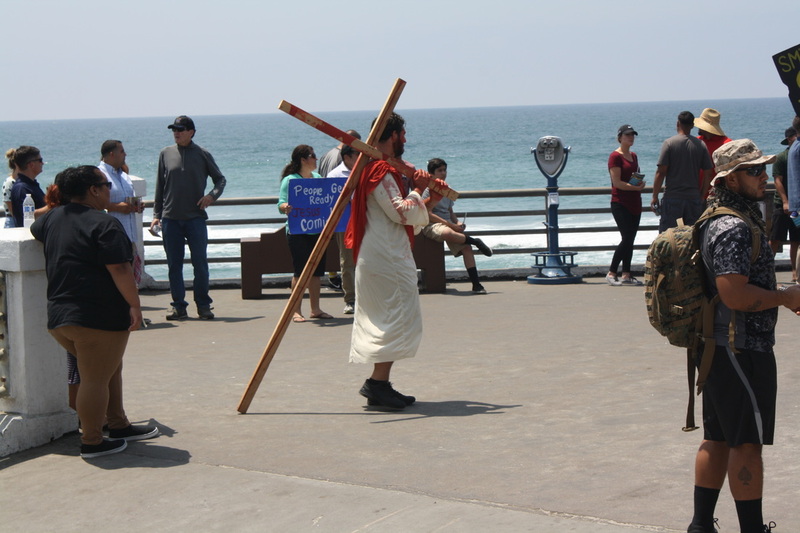 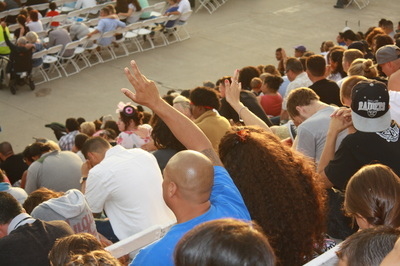 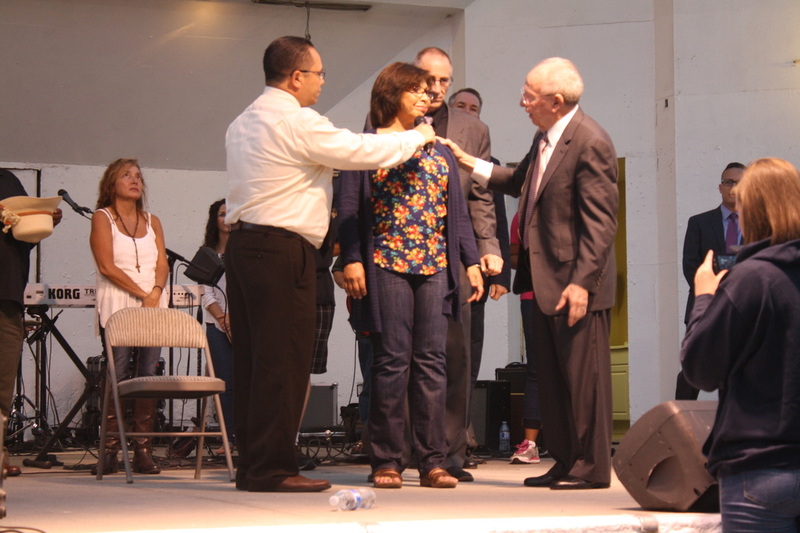 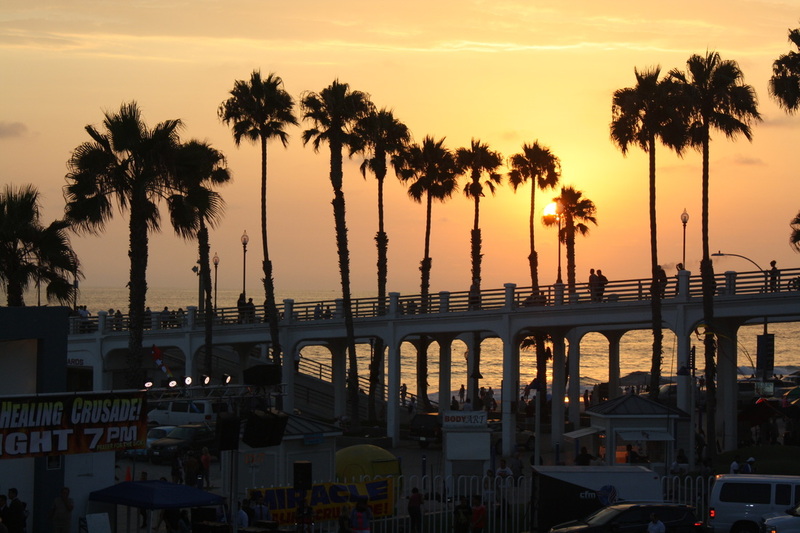 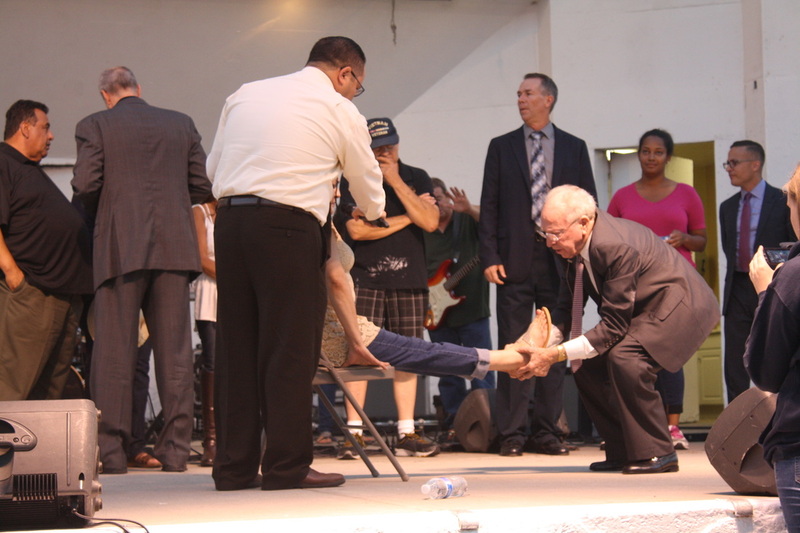 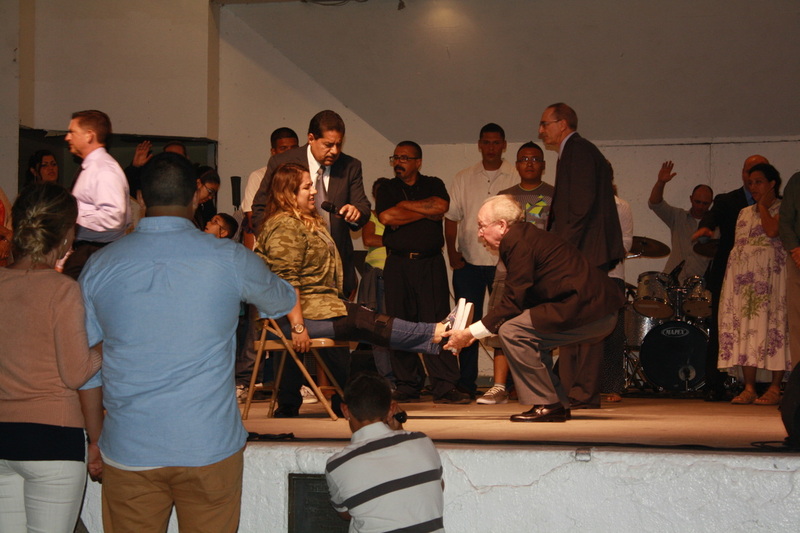 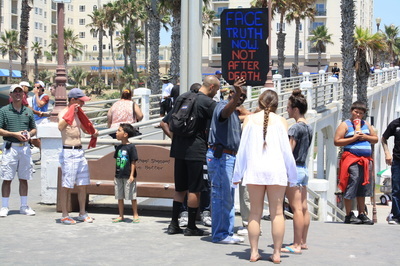 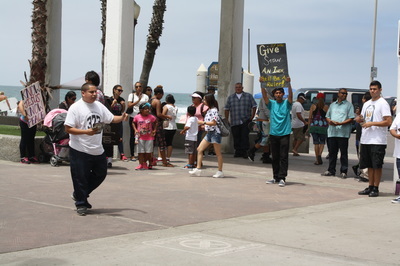 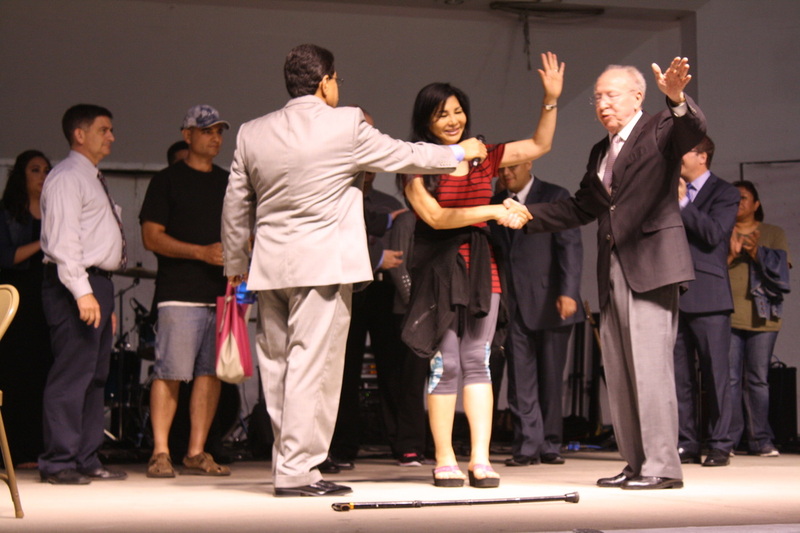 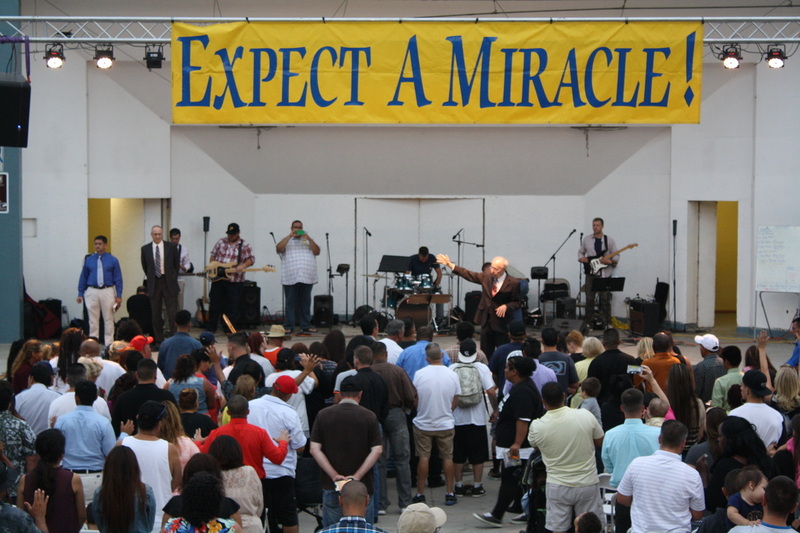 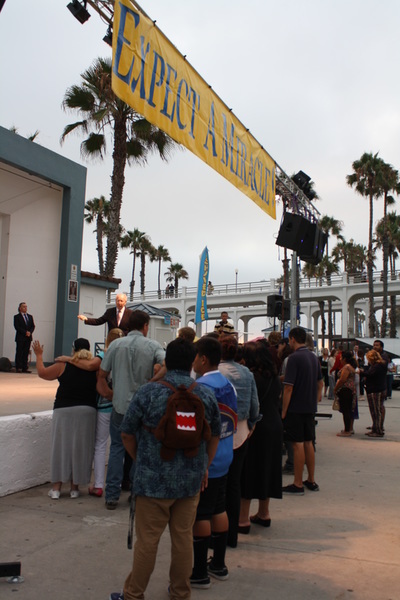 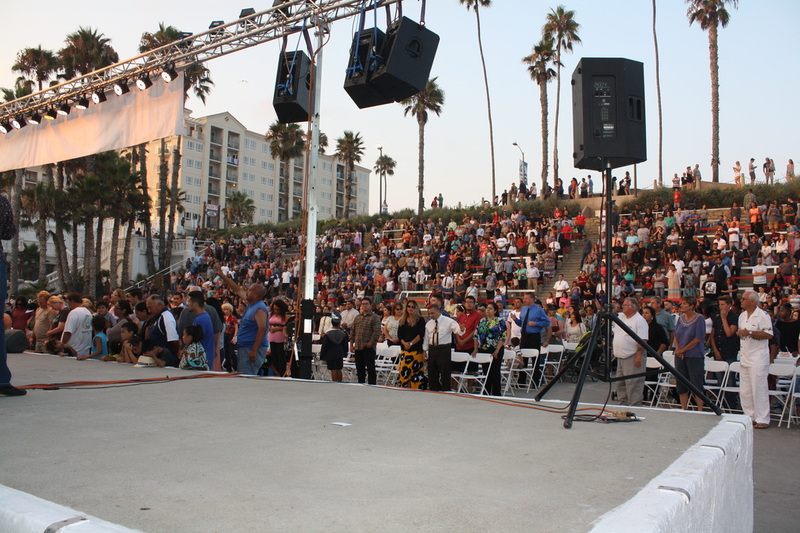 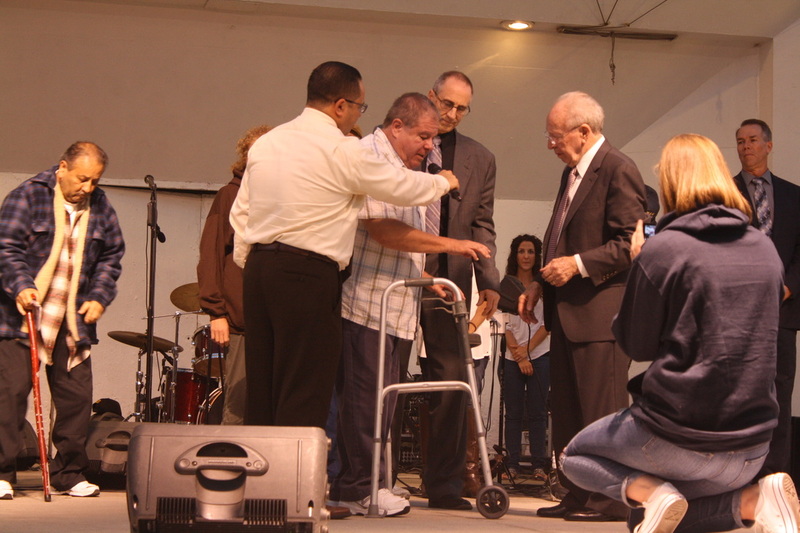 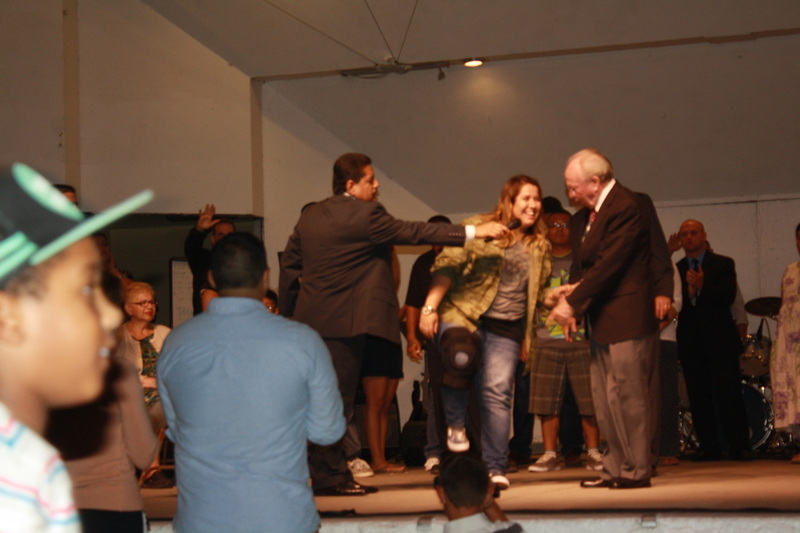 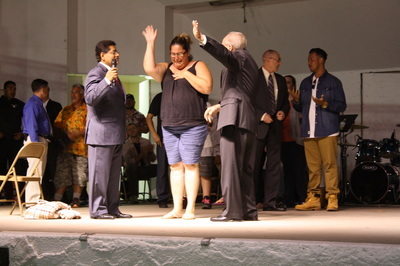 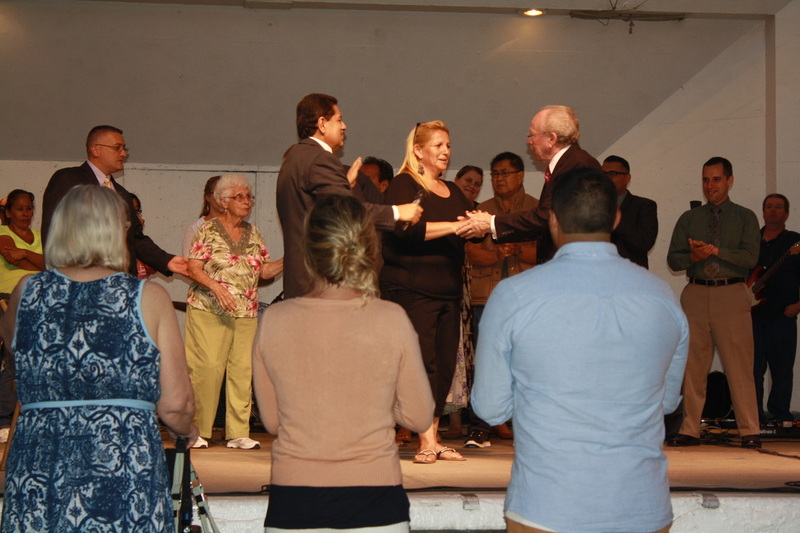 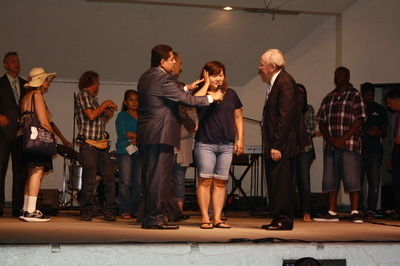 ​- We had 91 total decisions for Christ and 29 notable healings on the platform at this year's Oceanside Crusade! - Thanks to all of the churches who participated. 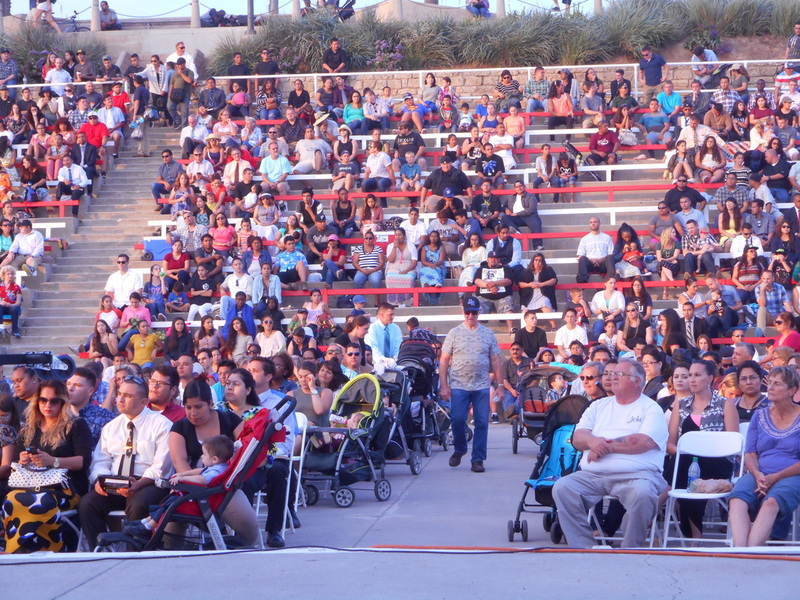 We could not do this without you! 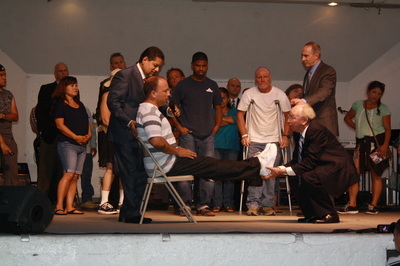 We had 116 total decisions for Christ and 45 notable healings on the platform. 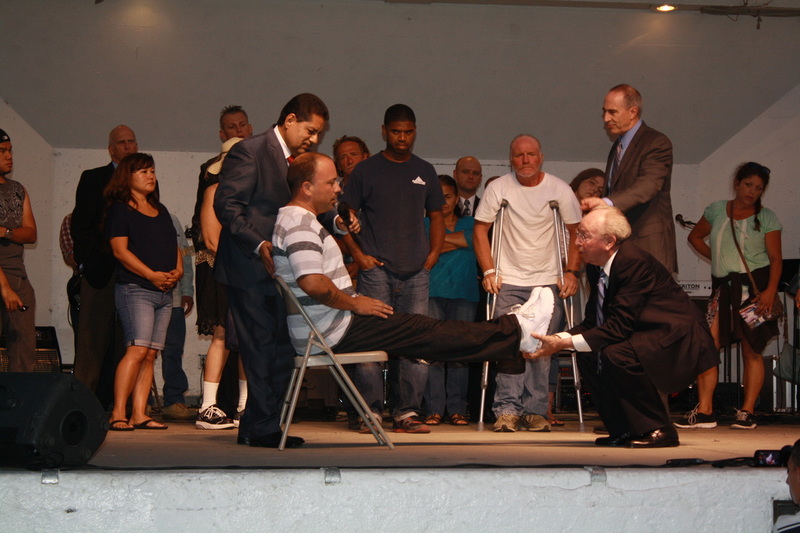 We had 148 total decisions for Christ and 39 notable healings on the platform. 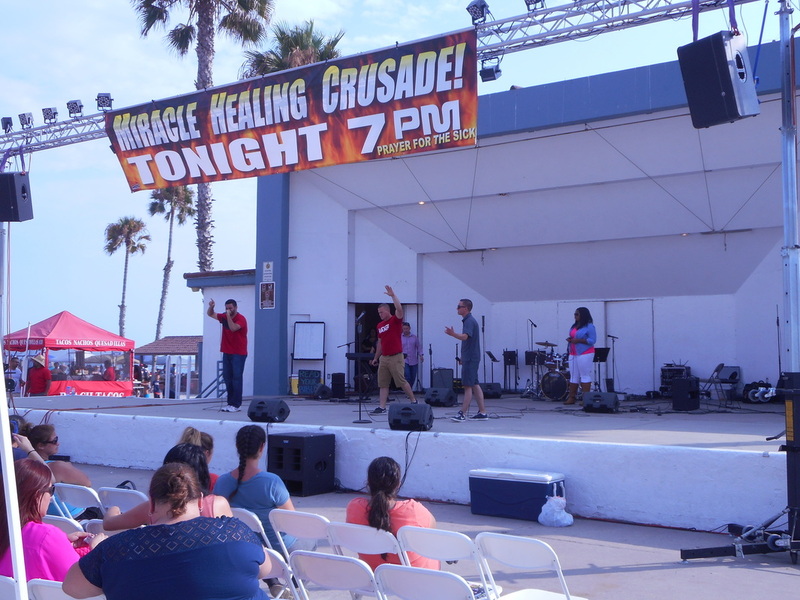 The Potter's House, Oceanside, thanks all of the 42 churches that sent impact teams to the 2014 Crusade. 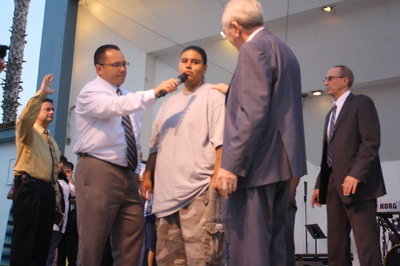 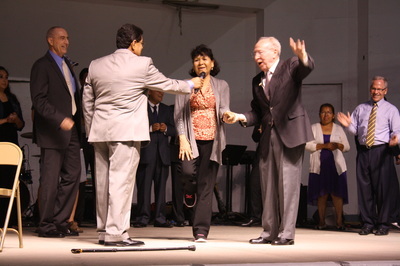 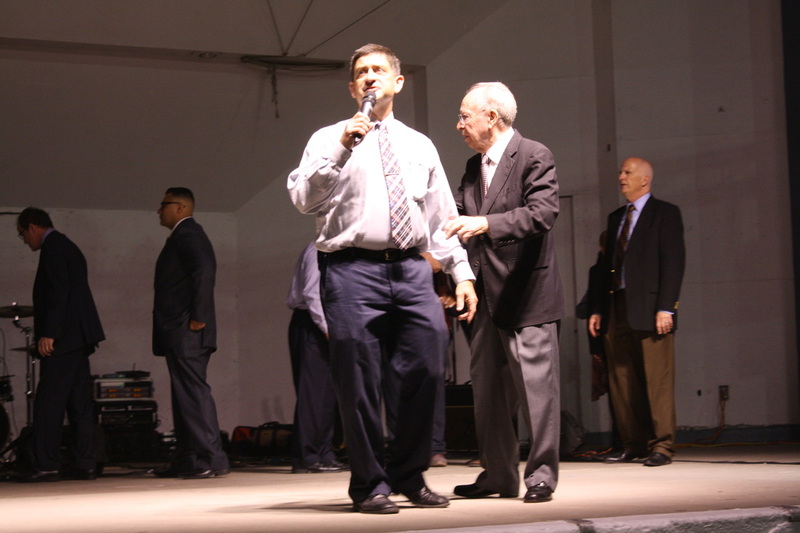 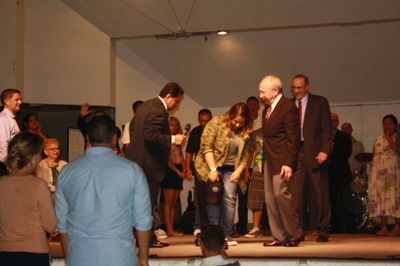 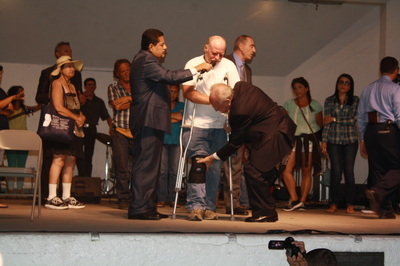 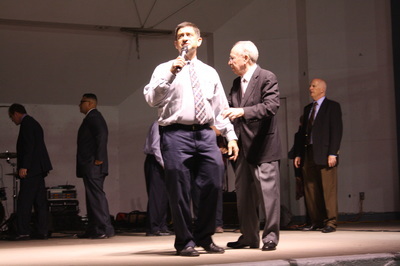 We had 187 decisions for Christ and 44 notable platform healings during this two day Crusade. Numerous others we healed and hundreds confronted with the life-changing gospel. Attendance peaked on Saturday night at 2500 people. 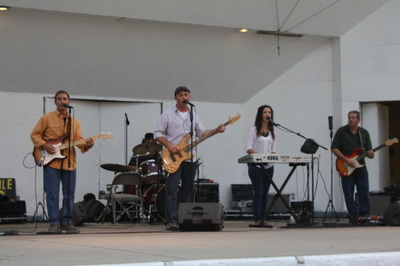 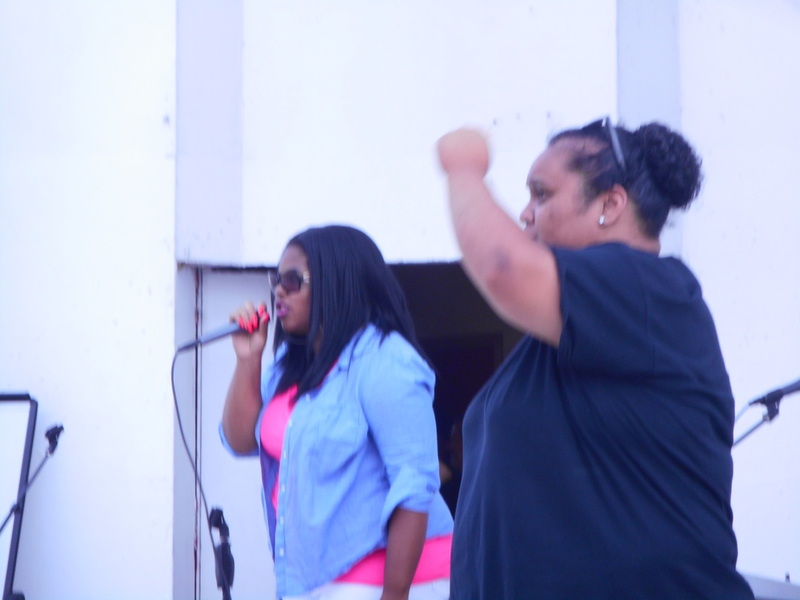 We also had a great time during the music scene with 19 bands performing. Pictures from 2014 are posted below.